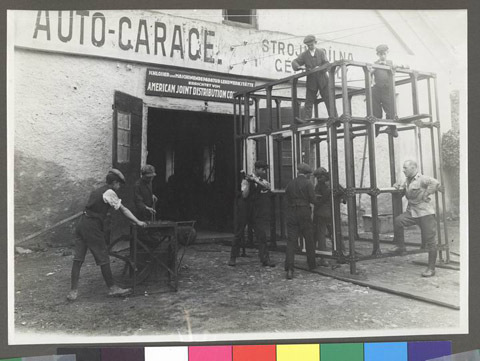 JDC - Archives : Workers constructing large metal frame outside auto-garage. Title Workers constructing large metal frame outside auto-garage. Description (Transcarpathia; Subcarpathian Rus/Ruthenia; Subcarpathia; Carpatho Ukraine).